The flavored whiskey space is simply exploding, with almost every major spirit company trying to get into the act. So far the clear front runner in flavorings is honey. In the barrel, American Whiskey tends to pull both vanilla and honey notes from the barrel, which combine with the corn spirit to provide a natural sweet and slightly thick honeyed undertone. 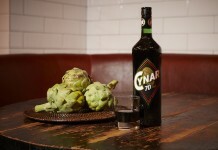 A new breed of liqueurs have taken that natural relationship of flavors and amplified it by adding honey to the mix in an attempt to make an easier, more approachable drink. Bärenjäger Honey Liqueur is the lesser known cousin to Jägermeister (both owned by Sidney Frank but produced in separate facilities). 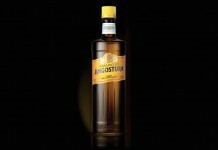 While it rarely get the kind of attention given to Jagermeister, those who are familiar with the honey liqueur often hold in it very high regard. 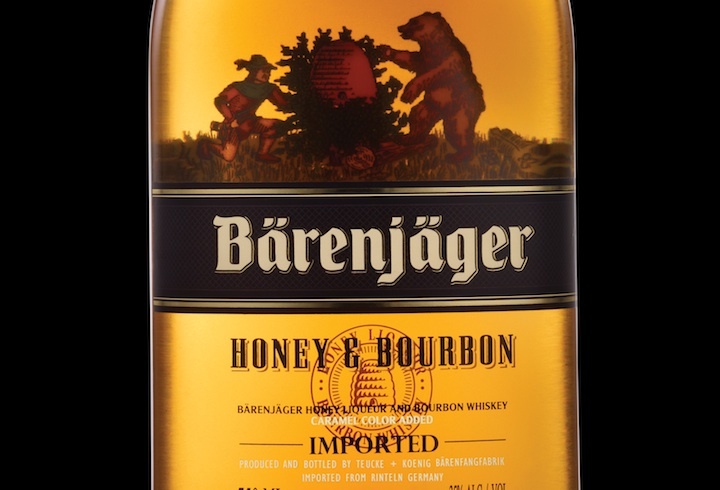 There’s a very good reason for this: Barenjager has always been a very pure and natural expression of honey. Barenjager marries the very thick, rich qualities that we love about honey with enough spirit to create a liqueur that starts off very thick and sweet but finishes fairly clean. It’s from this amazingly true expression of honey that Barenjager Honey & Bourbon (35%, $28.99) begins. From the get-go, it’s clear that Barenjager Honey & Bourbon preserves the deep, fresh, and rich honey nose from the original Barenjager. The honey here is like a good clover honey you’d buy at a farmer’s market. Right along side the honey is the bourbon with strong cinnamon and light oak notes. There’s a reason why so many companies are mixing honey with whiskey – the two go together extremely well. The entry is thick and sweet with the whiskey notes very present in the entry. The balance between the honey and bourbon definitely favors the honey, but not so heavily as to overwhelm the whiskey notes, and it’s not as sweet as the traditional Barenjager. The cinnamon and oak spice ramp up in the mid palate where the balance becomes more equal. As with the original Barenjager, the finish cleans things up a bit, this time with more spice from the whiskey. Barenjager Honey & Bourbon is simply delicious. It’s sweeter than Jack Daniel’s Tennessee Honey but its honey notes are truer. The bourbon here focuses much more cinnamon and oak notes, clearly crafted to support the honey. Ironically, adding bourbon to the mix actually improves the taste experience of the Barenjager, and we prefer the new Honey & Bourbon to the original. There are many entries in the market in this space, few of which have any chance of taking on the market leader. Barenjager Honey & Bourbon is the first product that we feel has a real shot. If it catches on, and we think it will, we predict that when people refer to Barenjager, they’ll be thinking of this one, and perhaps it’ll become just as known as its popular cousin jager.